Our noses are pressed so far into the business of everyday life, that we rarely push our chair away from the desk far enough to take in the bigger picture. The demands on our time and attention leave us too exhausted at the end of the day to contemplate anything “bigger” than a glass of wine, online distractions, or the prospect of a decent night’s sleep. We might diagnose our times as suffering from “commotion fatigue,” referring not just to the disturbances happening around us, but even more to the agitation and upheavals going on within. If you were to spin a raw chicken egg on the table, stop it momentarily with your finger and then pull away, the still-spinning insides will get it moving again without your assistance. It’s like that. The inner vortex of frustration, irritation, and anxiety has us spinning even when to all outward appearances we are sitting quietly alone. Eventually all this inner commotion wears us out and leaves us depleted. Popular forms of therapy include sedation, either self-administered by the glass or in the form of prescription medication, mental distraction, entertainment, or saying “no” to some of the things crowding in on us. Less often do we consider the benefits of opening the window of perception to a reality larger than the set of concerns we are trying to manage. If asked What’s going on? our answer will likely be limited to the stuff that’s on our personal plate. But, of course, there is much, much more going on than only that. Getting a sense of our place in the grand scheme of things could provide us with the perspective we need to distinguish between what really deserves our attention and what matters less. If you don’t know where you are, anything might offer the clue you’re looking for; and without a sense of the whole, any clue is as good as another. Most cultures have – or at least had at some point in the past – a grand-scheme picture of being and time which serves to situate human existence and the individual’s life journey. While this picture is not identical across the cultures and historical periods, for the most part its major components form a constant pattern – something like a transcultural mandala of our species. In this post I’ll adopt a name commonly used for it: The Wheel of Fortune. Religious myths represent our first efforts at contemplating the Wheel of Fortune. Much later, scientific theories worked out the picture in a more impersonal and abstract language. 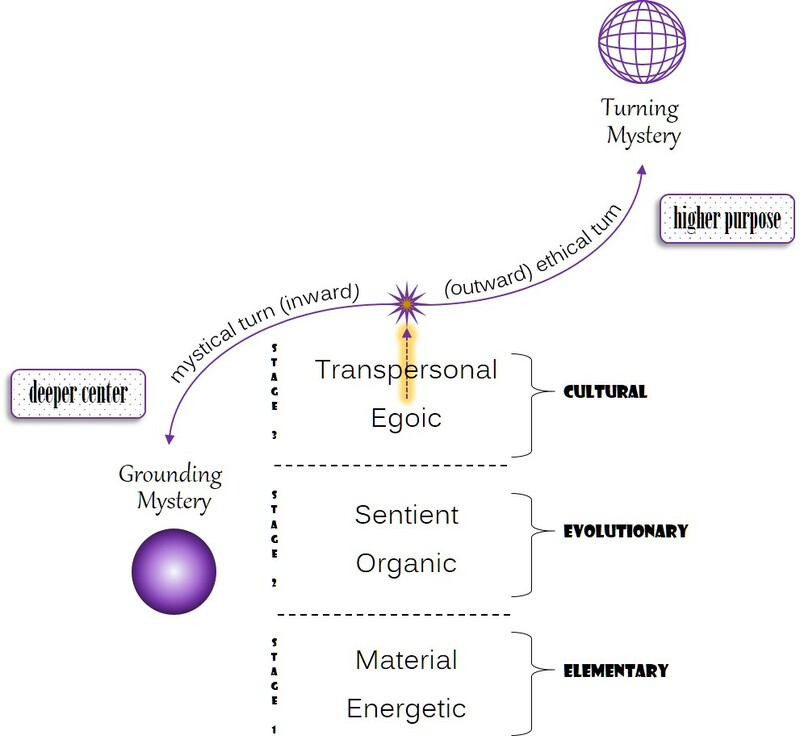 Myth and theory are really just two ways of approaching the same mystery, one looking through the screen of personality, and the other with this screen methodologically removed. One sees intentionality behind and throughout reality, while the other is committed to regarding it all as a marvelous accident, devoid of purpose or final goal. Religion positions intelligent volition at the start, center, and end; science lets mindless chance evolve over inconceivable intervals of time and space. The plain fact, which neither one can ignore, is that conditions have indeed provided for the flourishing of life, sentience, and self-awareness in the universe. By intention or by accident? Is it legitimate for human beings to ask why we are here – to search out our purpose, deciphering clues to our possible fulfillment and responsibility to the whole? Or are we limited only to asking how we got here – the random causality leading up to our arrival over countless eons of time? Religious myths offer revelations into the provident intelligence behind everything. Scientific theories offer explanations that make reality intelligible, but only to us. It’s helpful to remember that these two storytelling enterprises, religion and science, are contemplating the same reality. Whether it uses metaphorical archetypes or metalogical algorithms in its preferred narrative, one doesn’t have to be right and the other wrong. They can both be right (or wrong), but from different angles of approach. That is to say, the Wheel of Fortune is a shared fascination of both religion and science, and both historically have been interested in understanding the big picture and our place in the universe. Each component of the Wheel can be represented mythologically or theoretically, as we’ll see. The cosmic order issued from the preconditions of chaos, personified in myth as a monster (e.g., the serpent Tiamat or the dragon Leviathan) whose body enveloped the primordial stuff of existence. By the sword or command of a god its body was opened up to release this energy and then subsequently dissected into the sky, earth, sea, and underworld. According to scientific theory, this primordial state was a singularity of infinite potential that exploded outward in expanding waves of energy that quickly crystallized into the elements of matter. Hydrogen and helium fused first to become the center of nascent stars, where stellar nucleosynthesis proceeded to form the heavier elements of outlying matter and solar systems. According to both narratives, the energy of chaos is paradoxically the ground of existence. While both myth and theory depict the decisive event as having occurred at the beginning of all things, the chaos, whether divided and portioned, or expanding and transformed, continues even now to fuel the creative process. In fact, the creation or ‘big bang’ of our universe wasn’t just an event in the distant past, but is presently ongoing. Cosmic order continuously arises by the dismemberment of the dragon, by the out-pouring differentiation of chaos into the relatively stable forms of matter. 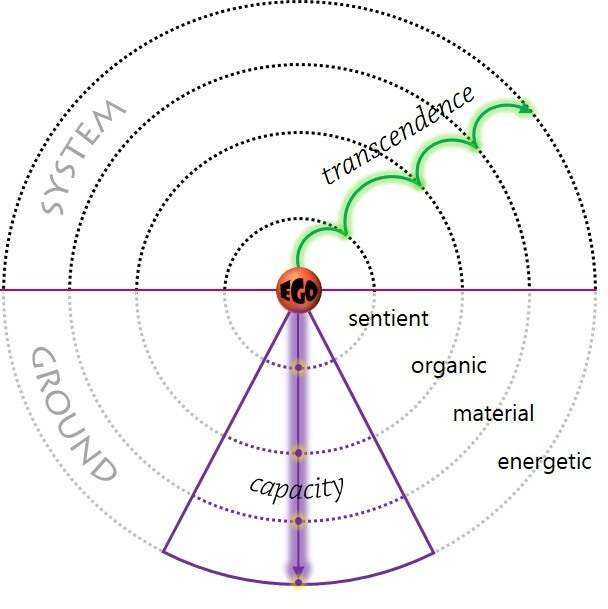 What we are calling the ground of existence, then, refers to the spontaneous uprising of energy into matter, of matter into organism, of organic life into sentience, and of awareness into egoic self-awareness. The ground is not outside of these, but deeply internal to each existing thing. 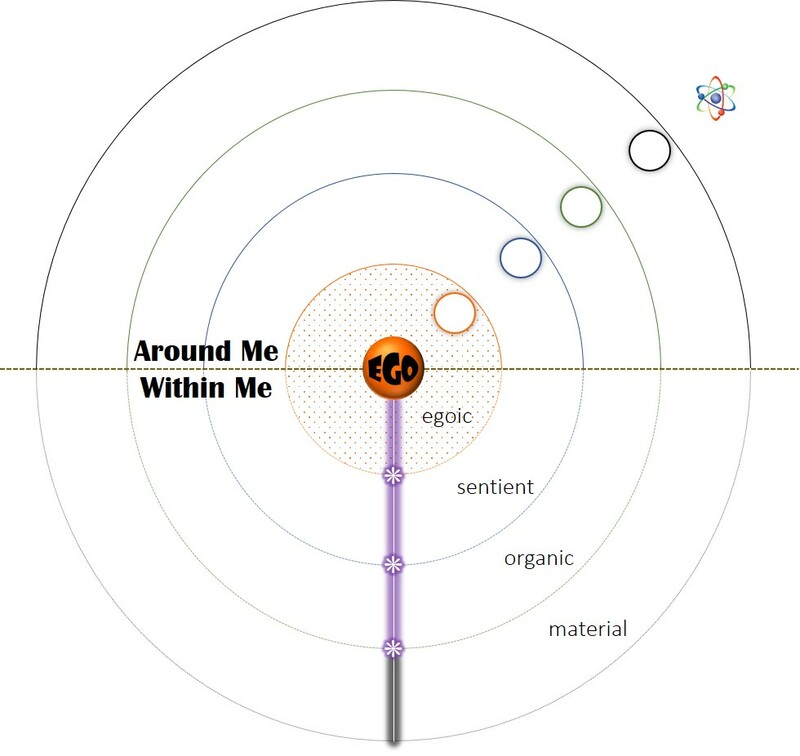 For a self-aware human being, the grounding mystery is accessed by descending within, through the centers of personal identity (ego) and a sentient nervous system, from which threshold consciousness releases to the organic rhythms of the animal body. Unconscious matter and (deeper still) quantum chaos support everything from still farther down/within, but awareness can only contemplate these ineffable depths from the drop-off of its own center. The Wheel of Fortune’s upward swing follows the rise of cosmos (order) out of chaos, a coming-into-existence (genesis) of all things. To exist is to ‘stand out’ of this purely potential state, taking form and finding a place in the grand scheme. It is happening all the time; or we might also say, its happening is the very definition of time. Religious myth and scientific theory are both narrative constructions by which human minds have contemplated the mystery of a provident universe. Whether we ask why we are here (an inquiry into purpose and destiny) or how we got here (exploring causality and evolution), we are seeking to understand our place in the whole. But the Wheel continues to turn, and as it swings downward this cosmic complexity begins to come loose at the seams. In the myths we hear of the breakdown of order, a worldwide deluge, the fall into mortality and the collapse of virtue, an apocalyptic catastrophe – all archetypes, once again, of what we can perceive going on around us in countless small and larger ways. 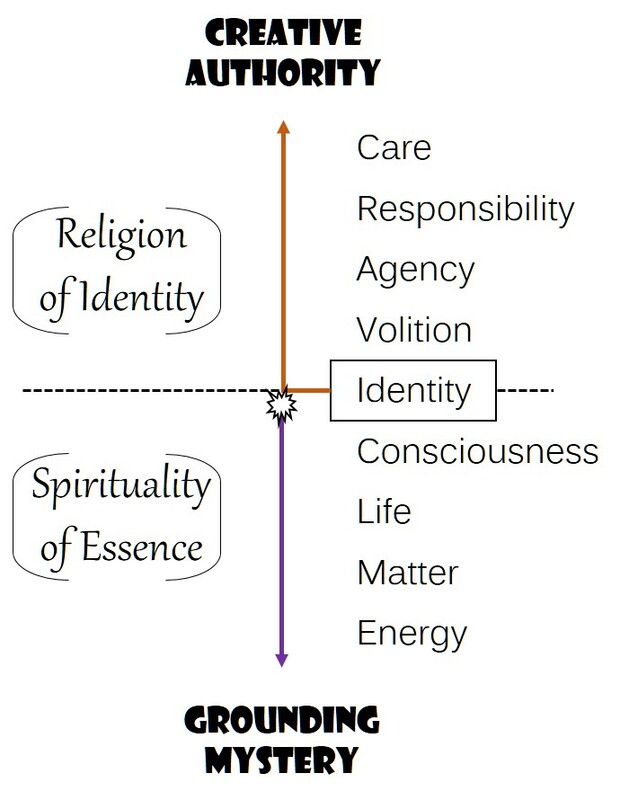 Because it looks through the veil of personality, religion sees intention, purpose, and will operating behind things. If gods and heroes are the agents in the Wheel’s upturn, on its downturn the myths feature devils and anti-heroes who conspire in the universe’s unraveling. Science names this demonic intention toward disorder entropy, which refers to the tendency or “law” that pulls complexity down toward more stable arrangements. Complex systems require more energy to hold together and they function relatively far from equilibrium. Our brains, for instance, are made of material nerve cells capable of conducting electrical impulses, forming circuits and networks of interaction that give rise to consciousness. Consciousness itself is a highly complex process and inherently unstable; it is dynamic and not static. Entropy is experienced as mental fatigue, and as the brain loses energy its functions collapse to lower, slower, and more stable states. From a vantage-point higher up in the organizational complexity such as a personal ego, this downward pull toward stability threatens existence and will eventually bring about its end. On the Wheel of Fortune this is where reality is perceived not as the supportive ground of existence but rather as the abyss of extinction – the dragon once again, but now in its aspect as world-devourer and ultimate solvent of forms. The pouring-forth of genesis has its counterbalance on the Wheel in kenosis (from Greek, to empty out). In the language of science, chaos is not only the quantum field that gives rise to the physical universe. It is also a dark sea of probability and indeterminate fluctuations that is quite literally nothing, in that it has no objective existence of its own. The very act of measuring these fluctuations determines whether they show up as particles or waves, but their behavior is intrinsically unpredictable. A methodological detachment of our research intention from the supposed object of study, which is how science proceeds above the quantum level, is just not possible down here. Not only do all the qualifications of the Newtonian universe dissolve into nothingness as we approach the quantum field, but even the sacrosanct division of mind and reality folds in upon itself. Thus the Wheel of Fortune turns – not one time only, but again and again in unceasing revolution. And not only at the highest level, either, where the whole thing turns as the mystery of our universe, but in every quarter, niche, and speck. 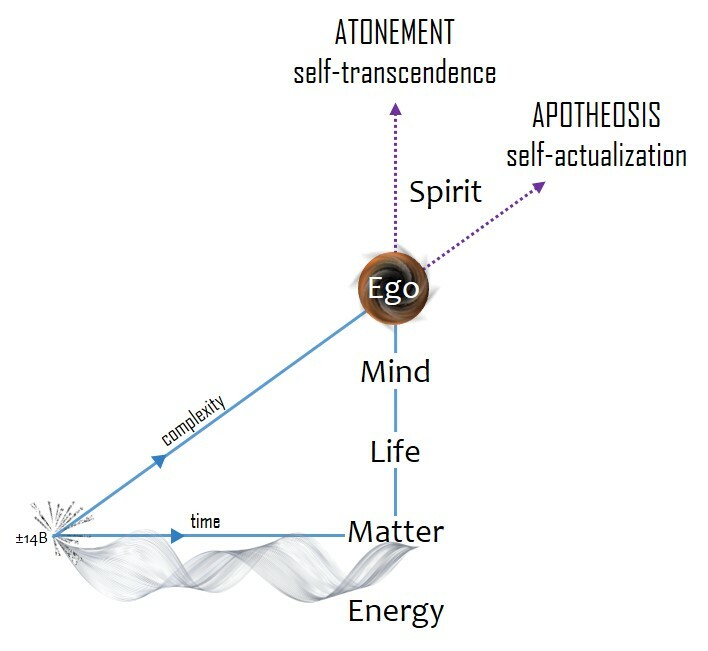 The great uprising of matter into life, of life into sentience, and of sentience into the self-conscious ego reading these words right now, is circling back around to begin again. As our presidential candidates lay out their visions and identify what they believe are the major issues on our national and global horizons, I thought I would publish a short list of my own. Obviously there are many, many things we could be doing differently – and many different things we probably should be doing – as we look to the future and contemplate the big picture of where we are headed. My list holds just three, but I think that together they constitute an axis for a revolution of creative change. The vast majority of us who enjoy the convenience of flipping switches or turning keys and having power delivered instantly where we need it, don’t typically worry about the source, supply, purity, and sustainability of the energy we use – that is, until something interrupts on our demand. It’s one of those things that make it possible for just about everything else to operate, and it’s these many things (devices, tools, machines, vehicles) that get our attention when they stop working. But where the power comes from (source), how much of it is available (supply), to what degree its production and use generates pollutants (purity), and how long its supply can be expected to last (sustainability) – such questions only rarely cross our mind. Most of the machines we have come to depend on around the globe are powered by fossil fuels, combustible material derived from the remains of former living things. Fossil fuels (oil, coal, natural gas) are typically deep underground, which means that they are subject to property and access rights, and require expensive equipment to reach them. And who owns the land? Not the homeless poor or working classes. Governments and wealthy corporations – those who make the laws and lobby for special exceptions – coexist as a system and conspire together in shaping the economy in service to their interests. Inevitably, the governing and wealthy classes prefer things to stay the same (hence they are conservative as a rule), since the way things are supports their privilege and control. Despite the fact that fossil fuels are a limited fuel source and highly toxic to the atmosphere and environment, production continues unabated. In fact, new stores are being drilled and mined to meet the growing worldwide demand. What are we supposed to do, stop driving our cars, lighting our homes, or pull the plug on manufacturing? The current energy grid is designed to power our many machines, and more machines are being manufactured every day, and these depend on the grid to work. Alternative fuels – e.g., solar, wind, wave, and hydrogen – represent a virtually infinite source, widely available, perfectly clean, and sustainable far into the future. Already today, the technology exists for harnessing energy from the sun and powering our homes, neighborhoods, even entire cities. There is no more plentiful energy supply, available from nearly every location on Earth. Thankfully this technology is making it to the market, however slowly, partly through the efforts of fossil-fuel corporations that are expanding their production portfolios, and partly despite the best effort of others to stop it. A reduction in consumer use (driving less, using public transportation, biking and walking when we can), along with a commitment to purchase cleaner technologies and invest in the companies developing them, is critical to our big-picture and long-term future. Earth is an incredibly fertile and fruitful planet, and life has been able to adapt and evolve in its oceans, forests, deserts, tundra, prairies, mountains, marshes, lakes and streams. 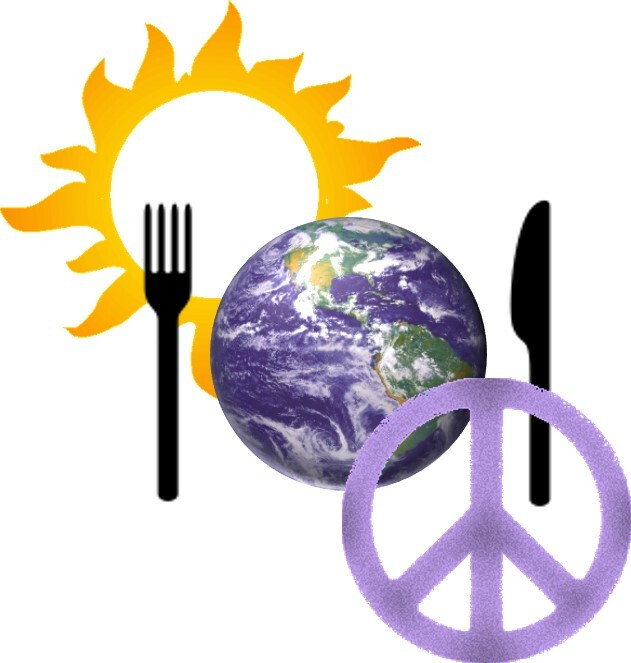 Even at our present population size of 7 billion, the earth’s bounty is more than sufficient to feed all of us. The problem, once again, is not really in the short supply of what we need, but in the political and commercial systems that prevent nutritious food (and clean water) from getting to those who need it. The privileged classes (and the government their money buys) exploit and exhaust Earth’s food resources, supercharging the soil with fertilizers as they sterilize it with pesticides and herbicides. As a consequence of such practices, the mass yield at harvest increases dramatically while its nutritional value plummets. As huge amounts of methane (a greenhouse gas) are released into the atmosphere from livestock, these chemical toxins leech into the groundwater and lace our fruits, grains, and vegetables, slowly sickening us with cancers and other so-called auto-immune diseases. The poor quality of highly processed and modified foods means that we have to eat more as we continue to fall below our nutritional needs. Eating more, of course, involves taking in more calories, and excessive calorie intake leads to weight gain, metabolic fatigue and dysfunction, and ultimately to diabetes and other disease processes. A growing interest in organic farming and whole foods is a promising trend, but a simultaneous return (think of it as a homecoming) to the natural intelligence of our body and its deep preference for nutritious and energy-rich foods will be necessary as well. Other members in my weekly Wisdom Circle gathering are reasonably suspicious of the term ‘faith’, and they guard against what they anticipate will be my attempts to pull them back into the religions they left behind. It’s critically important to distinguish the doctrinal orthodoxy or belief system of a religion from the question of whether and to what degree an individual is able to relax into being and trust in the provident nature of reality. I’m not speaking of Providence in the old-style Puritan sense, referring to the watchful protection and abundant provision of a god above or ahead of us. Instead, the provident nature of reality is based on the straightforward and obvious perception that our life, consciousness, creativity, and aspirations are not separate from the universe but manifestations of it. You and I are living expressions of a provident reality, as evidenced in the fact that its 14-billion-year process has brought about the conditions (on this planet, at least) for us to evolve and flourish, as part of a great community of life. The faith I’m speaking of is not the property of any religion and has nothing to do with belief in god. As an inner release to the grounding mystery of being, faith opens us to existence and is our surrender to the deeper and larger process moving through us. Other words, such as oneness, communion, presence, grace, and peace, serve equally well – or poorly, insofar as the mystery they name is ineffable. When faith is active, we enjoy an inner peace and can reach out without a need to grasp, control, or manipulate others and the world around us. We can instead be present, attentive, mindful, caring, and generous. When faith is inactive or missing, however, a profound dis-ease troubles us. We feel unsupported by reality, which in turn compels us to attach ourselves to anyone and anything (including ideologies) that promises some reassurance, relief, or escape. Of course, nothing outside us can compensate for inner insecurity. When we were infants, the intimate connection between safety and nourishment that we experienced in the nursing embrace perhaps encouraged a strong correlation in our minds between faith and food. This cross-wiring of our nervous system explains why we often seek comfort more than real nourishment in what we eat, and why the marketing of ‘comfort food’ is so wildly successful in our Age of Anxiety. My axis of terms – Fuel, Food, and Faith – is arranged in that order to confirm what should be obvious to us all. If we can’t move to cleaner energy sources and break free of our dependency on fossil fuels, our planet’s warming climate will turn soil to sand, shrinking the area of tillable land worldwide. If we can’t farm food that is wholesome and nutritious, we will need to eat more and more of it, compromising the global supply and bringing upon ourselves a growing number of health complications. But if we can’t transform the politics that drive the decisions and divide us along lines of wealth, race, gender, and creed, the brighter future we hope for may be out of reach. Our politics will change as people change, as we learn how to cultivate inner peace. The future of humanity starts now, with you and me.